General Legal Advice - The most frequent question this office receives is, “Do I have a legal problem?” Take advantage of this office’s free initial consultation to check to see whether or not you need a lawyer. 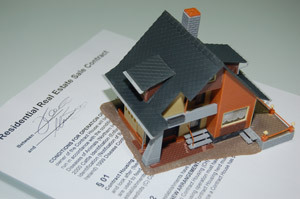 Real Estate - Are you buying or refinancing a home, leasing a property, or acquiring a new business? Our firm can handle any of your real estate needs, from $10,000 to $10,000,000. Wills and Estate - How would you like to have your assets distributed upon your death? How do you set up your estate to minimize taxes? What do you do when a parent, spouse, or other loved one passes on? At all times, but especially at these difficult times of need, will and estate matters will be handled with sensitivity and understanding. Guardianships and Trusts - Do your elderly parents need more support or protection than they can provide for themselves? Do you have any special needs children that will need to be provided for? Proper planning through the use of guardianship and/or trusts could further insure their well-being. Criminal or Traffic Matters - Whether it is a simple traffic ticket, a DWI, or a serious violation of the criminal laws, this office can counsel you and give you the best possible protection to which you are entitled under the law. Civil Matters - From collections and litigation to domestic relations and personal injury, quick, accurate, and professional advice could be crucial to your case. 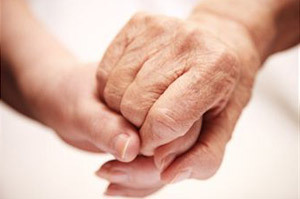 Applications for Medical Assistance Long-Term Care - If your loved one is in a skilled care facility and it is necessary to apply for medical assistance our staff is very experienced in all aspects of the application process. Juvenile Law - This office has substantial experience in handling juvenile cases and the unique issues they raise. Whether it involves a child delinquency, child protection, guardianship to protect the assets of a minor, or educational issues, we can provide expert advice. Business Legal Advice - From a sole proprietorship start of business, to a large interstate corporation, this office can advise you on the myriad of problems in today’s business world. Corporations - Should you incorporate or remain a sole proprietorship? Should a partnership be general or limited? How about the new types of entities like a limited liability corporation or a limited liability partnership? What are the advantages or disadvantages? This office can advise you on how to set up the capital structure of your business entity. Malpractice and Personal Injury - Were you injured in a car accident or by a health care provider? This office will strive to obtain for you proper equitable compensation for the loss, pain and suffering you sustained.